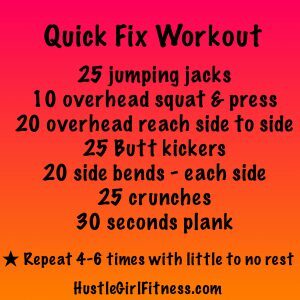 Looking For A Quick Workout Fix? You’ve Got It! Many people these days claim it’s hard to find the time to workout. Everyday tasks such as work and caring for kids, doesn’t leave much time to exercise. Here is a great workout that is easy to do and can be done in the comfort of your own home. You won’t need any equipment, except for a set of dumbbells. When you are just starting out dumbbells that are 1-3 pounds are perfect to use and you can get them fairly cheap in lots of sporting goods stores and even online. Give this workout a try and you will start seeing results in just a short amount of time. This workout will take anywhere from 10-20 minutes depending on the amount of sets you do. Remember to rest as little as possible, however when you are starting out, you may need more rest. That’s okay. 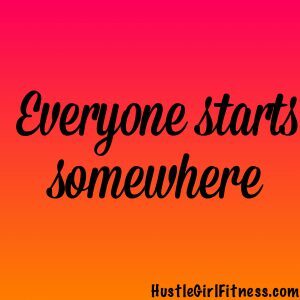 It is important to keep in mind that everyone starts somewhere and you should take the time you need to rest in order to complete as many sets as you can.